Gelatin is a colorless and tasteless protein element which is used in cooking and various other applications. Having no odor at all, Gelatin is an effective substance as a facial mask as well. It is renowned for huge potential in a number of things. The benefits of Gelatin include better digestion, good skin health, making bones stronger, maintain the heart health etc. Gelatin, however is most commonly known for its face mask and skin benefits. 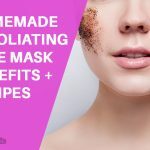 Here are some effective homemade gelatin face mask recipes let’s have a look and try yourself. Youthful and Glowing Skin: The first benefit of Gelatin face mask is that your skin shall remain youthful and glowing for longer time. Makes Skin Smoother: Since Gelatin is made up of collagen, it makes skin softer and smoother. Busts Blackheads: Gelatin face mask busts blackheads thus helps removing it. Cleanses the Skin: The mask cleanses your skin from the inside. Tightens the Skin: Some people have this problem but Gelatin face mask heals it. Heals Dry Skin: Most people have dry skin issues but Gelatin helps treating it. Put the mixture in microwave for 10 seconds for heat. Apply on face and wait for 30 minutes before removing it. How it works: The milk and Gelatin face mask helps removing the blackheads of skin. The dirt comes out with removing the mask. Repetition: Use it as per your schedule. It may be twice weekly, or once in a week. Tips: The gelatin used must be flavorless. Do not use colored Gelatin. Yogurt is a home remedy to more of the skin problems. It is very useful in removing the dirt and making skin active. 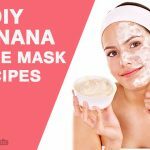 Yogurt and Gelatin face mask is made easily and is a fruitful skin healer. In a bowl, take one teaspoon of Gelatin and add almost one teaspoon of yogurt. Note: apply on face for at least 20 minutes. How it works: It makes your skin glow and makes it smoother. Tips: It is ideal for oil skin. Well water and Gelatin face mask is for all the people who have a dry skin. This skin is usually common in most of the people and for them water and Gelatin face mask is one of the healers. Take one teaspoon of Gelatin in a bowl. Add little water and wait till it gets thickened. Now make it liquid by placing it a hot water bath. Note: Apply the mask for 30 minutes. How it works: This face mask heals the dry skin and actives them. Repetition time: You can apply it once in a week or ten days. Baking soda and Gelatin face mask is an effective approach for removing the blackheads of the face skin. Take two tsp of gelatin and mix it with 3 tsp of baking soda. Mix it well and warm it for 4-5 seconds in microwave. Note: Apply the mask on face after making sure it’s not too hot. How it works: The mask is really effective in not only cleansing the skin but also removing the blackheads. Repetition time: Once in a week is totally alright. Egg white and Gelatin face mask is a healthy skin mask which provides essential nutrients to the skin. This is how you can make one. Take around one teaspoon of Gelatin and cook it for few seconds. Note: Apply the mask in layers. How it works: It gives essential nourishment to the skin and cleans it from dirt. Repetition time: Twice in a week or ten days is suitable. Green tea is a divine thing for health whether it is skin health or body health. Green tea and Gelatin face mask is also an approach to get a prettier skin. For the first step, prepare one cup green tea with normal method. Let the tea go cooling. Apply it all over the face and wash after several minutes. How it works: It has many benefits, but the most important one is to get a prettier skin. Lemon is quite effective and known for skin. 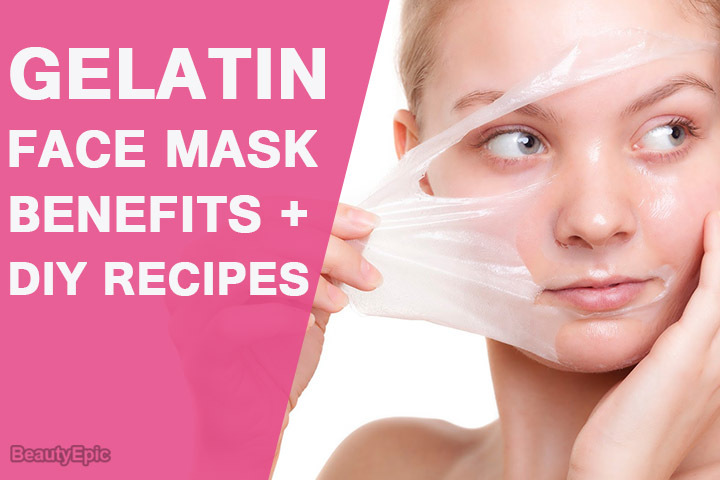 Adding in the Gelatin features make the mask a highly nutritious one to the skin. Add little water and mix it well. Note: Apply on the face and remove after 20-25 minutes. How it works: It Strengthens the skin and makes it glowing. Repetition: Twice a week would be appropriate method. Tips: Since Lemon is pretty acidic, don’t add too much or lemon to the mask. It is a mask which cleanses the skin, making it softer and light. Experts recommend honey and Gelatin face mask for a better glow in the skin. It is simple to prepare. Take one teaspoon of Gelatin and pour warm water. Mix the solution gently and turn it into liquid state in water bath. Now add one teaspoon of honey and the same amount of olive oil. Note: Apply the mask hot and let it remain on the face till it gets dry. How it works: Along with Gelatin benefits, honey and olive oil play a major role in enhancing the skin and removing all the dirt and pollution. Repetition time: Twice or thrice a week as per the skin suitability. Facial problems can be really annoying and embarrassing to people at times. Today, maintaining a healthy skin is one of the most difficult parts. Gelatin is a natural ingredient for making the skin more active, bright and pretty. It heals the skin in a wonderful way, by providing it essential nourishment and cleaning the skin. Gelatin masks are much in use today and continues to show immense benefits on the skin. Gelatin has numerous benefits for the skin. 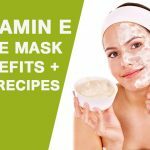 Here are some effective homemade gelatin face mask recipes let's have a look and try yourself.